Crownstone | In the spotlight, Linux! The FireSwarm drones developed to detect fire as quick as possible, making use of their large numbers, have a series of sensors and processors on-board. The autopilot from MAVlab - known from the DelFly, the micro-aerial vehicle lab at the TUDelft - is a mature solution for navigating airborn vehicles through the air. This autopilot communicates with a low-power processor from Salland Electronics which functions as the hub for sensors on-board such as a thermopile array, a CO sensor, and a 3MP camera for streaming hi-res images to the fire brigade (after the fire has been detected autonomously). The autonomous detection of the fire is impossible without a powerful processor on-board. Our solution uses a small form-factor computer, the so- called Gumstix, the size of a stick of gum. The Gumstix is often used in the world of UAVs and uses the OMAP3 SoC (system-on-chip) solution by Texas Instruments build around a Cortex A8 processor. For example, the Overo Earth contains only this ARM processor (OMAP3503), while the Overo Water (OMAP3530) has an ARM plus a GPU, the PowerVR SGX530. By the way, the Overo Water has the same OMAP as in the well-known Beagleboard. In the latest version of Linux, the Linux core developers came to terms with the Android developers integrating all kind of software that the latter group wrote. This wasn’t the only thing. Important for us, the mainline kernel (from Linus) now supports the Caspa FS camera natively. Hence, we would like to have in the spotlight this month: Linux, and especially Laurent Pinchart, who has been a great help to us. To reduce a bit the number of questions that these people get, we will try to summarize our findings here. 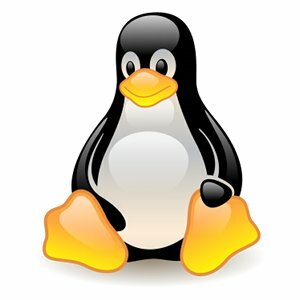 Feel free to contact us for questions to use the Caspa with the newest version of Linux. The only thing that is missing is board code support for the Caspa module which you can find at pinchart’s git repository in the form of a patch. This link changes all the time, search for “board- overo: Add Caspa camera support” if the link is broken. Laurent told us that the ISP driver by Gumstix is a bit buggy and limited in features, so it is recommended to use the driver from the mainline kernel. The main reason we want to use the updated driver is the very interesting media architecture with which we get access to the RAW camera data. Normally the output of the camera is YUYV while the original input to the driver is in the form of a Bayer pattern (see wikipedia). A Bayer pattern has 4 subpixels per pixels of which there is one red, one blue, and two green. It has been invented by Bayer to mimic the physiology of the human retina which is more sensitive to green. The media framework set up by Laurent makes it possible to make an image processing pipeline where there is a list of /dev/video* devices with different output. The pipeline can be configured such that one of these streams raw images, another monochrome images, and yet another YUYV images. First of all you will need to get the code of the new kernel. Now the 3.3 kernel is officially out, so you can best get it from the mainline kernel at http://git.kernel.org/?p=linux/kernel/git/torvalds/linux.git;a=summary. However, we choose back then for Laurent’s repository at git://git.linuxtv.org/pinchartl/media.git and then the unstable - so not recommended! - branch: omap3isp-omap3isp-next. I won’t detail git commands here, you will find out how to clone and checkout branches easily elsewhere. Do not forget to apply the patch from above! This patch not included, not even in the omap3isp-omap3isp-next branch. It is most natural to have the media framework and the drivers in the form of modules of course, so make sure you install the modules. In the next code section you see $OVEROTOP for the directory where the cross-compiler resides (build by OpenEmbedded / bitbake, installable by aptitude install bitbake on Ubuntu), and $FIRESWARM_KERNEL and $FIRESWARM_KERNEL_MODULES for the root of the build and the place where the modules will be installed. There are .config files included in the kernel (of course). So you will have to browse the webs for something that is usable. For your convenience I put a .config here that is build from Sakoman’s 3.2 .config version and an omap3-overo .config file, plus some changes from ourselves for Linux 3.3: .config. You will of course need to check them, it might have keyboard/mouse disabled for example. You will benefit from two utility programs, namely media-ctl and yavta. You can find them at git.ideasonboard.org. Make sure everything is attached nicely and you copied over the image, the kernel modules, and the yavta and media-ctl utilities to the Gumstix, via ethernet or via the USB card itself. The camera should be automatically detected, even if you hotplug it. If not, the only module you need to insert is the ISP one, by e.g. modprobe omap3-isp. This will automatically load media.ko, videodev.ko, v4l2-common.ko, mt9v032.ko, and omap-iovmm.ko. Check it with lsmod for yourself. If you don’t see a /dev/video device, make sure you applied the patch of above. Then after you see the /dev/video devices listed, it’s time to make work of the media-ctl utility. Make sure the “capture” number is larger than the “skip” number, or no frames will actually be captured. The dash # is a mask and will be replaced by increasing numbers. This media-ctl setting - as you can see - captures raw GRBG images with 10 bit subpixel values. Be careful in converting this raw data to images. The 10 bits values are not packed, they are written to 16bit values. Also, realize that the image sensor is 752x480 subpixels, and not entire pixels. So raw Bayer gives you only 752x480 16-bit values.